I read emails every day. Three or five times a day. Each checking and reading the emails is between every 3 or 4 hours. Some of the email frequently asking me on how to go to Dillenia Homestay from Changi Airport in Singapore. 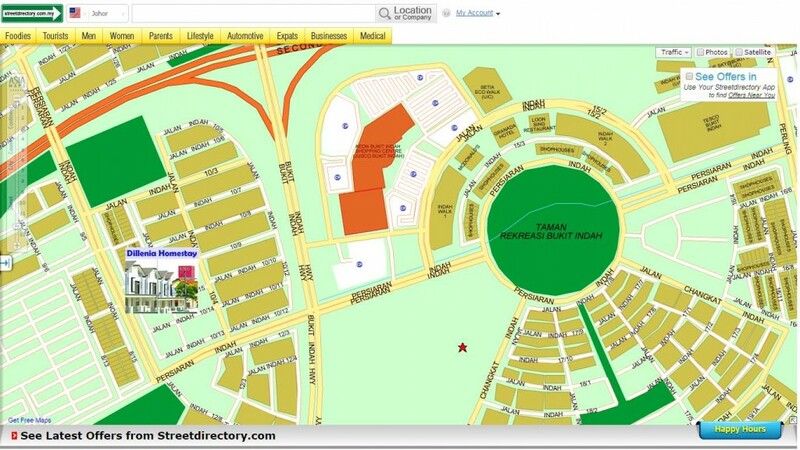 Then, on how to go to Legoland Malaysia from Dillenia Homestay. Ok now , let me explain the first question in title above. 4. You can either alight at the AEON Mall Bukit Indah bus halt ( just in case you need to get food stock for staying at the homestay, you need to walk abourt 400m to get to homestay ) ; or alight at the bust stop next to Jalan Indah 10/4 ( where it leads to Jalan Indah 10/14 ). 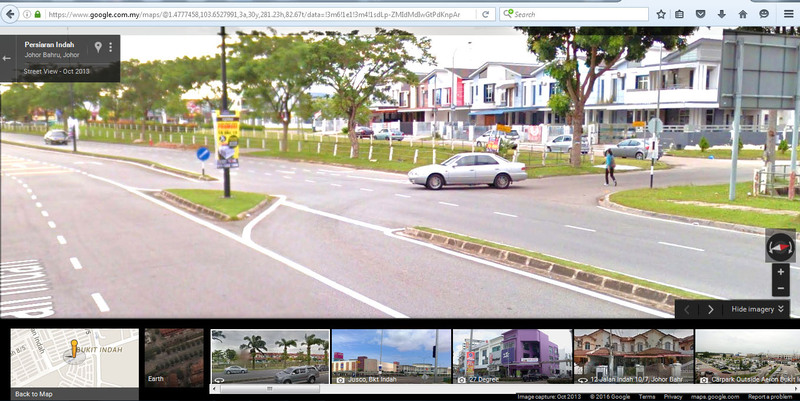 Above : The bus stop is not there yet as this is Google Street View picture way back in 2013. See the woman walking across the entrance road?. 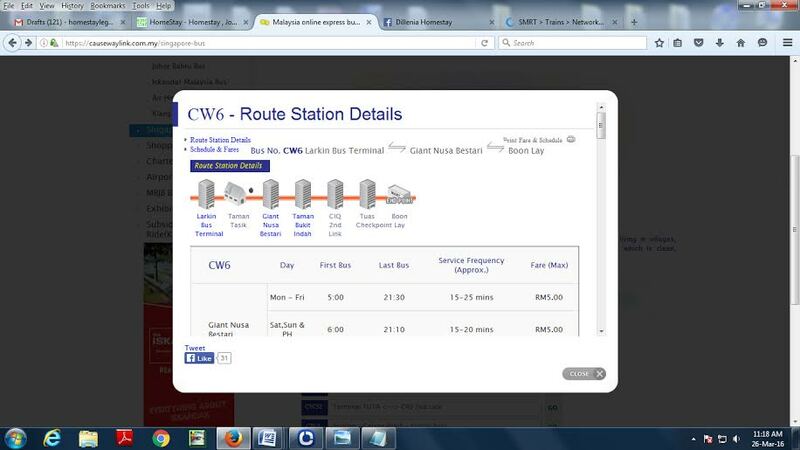 That is the Jalan Indah 10/4. 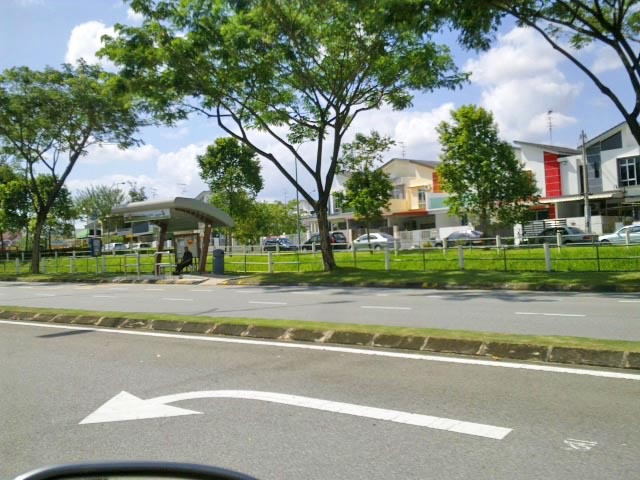 There are walkways leading up to to the traffic light junction next to AEON Mall. Above : This picture was shot a few weeks ago and the bus stop ( Jalan Persiaran Indah next to Jalan Indah 10/4 ) now serving the residents around the neighbourhood. Do you have any question? Let me know by commenting on this post. 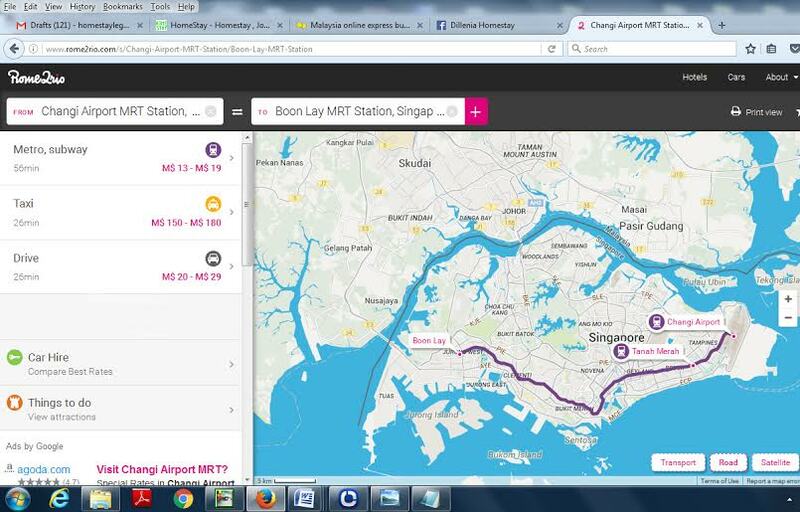 Have a pleasant journey here from Changi!